The Economist’s Big Mac Index has traditionally been thought of as an interesting yet dubious proxy for currency valuations and purchasing power. Mcdonald’s has a vast array of branches worldwide. Next to the Cola companies Mcdonald’s has, what might be, the most widely distributed common product worldwide: The Big Mac. The Economist thus ingeniously constructed the Big Mac Index which is a simplified model of purchasing power and currency value. The most beautiful economic models are very simple yet generate very interesting insights. I believe the Big Mac Index is one of those. The Big Mac Index is often referred to in economic and business papers. Mostly with a light humor but always seeking buried truths. Purchasing power parity, also known as PPP is a broadly used economic concept. According to purchasing power parity currency rates, in the long run, will move towards en equilibrium in which the cost of goods and services will be equal in different countries (adjusting for shipping costs, income taxes etc.). 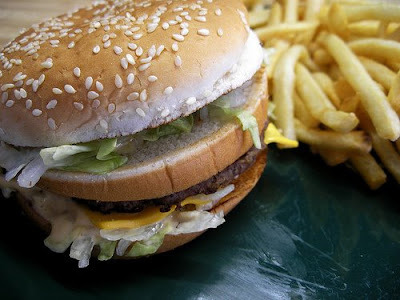 The Big Mac is an ideal example for a sold good which should be priced the same in the many different countries it is sold in. In the long run currencies will fluctuate to create such equilibrium. Purchasing power parity is most commonly used in comparing living standards in different countries. While salaries in New York may be higher so are prices of common goods such as homes. As such, in terms of purchasing power parity one does not necessarily have a higher living standard simply because one earns more. Which currencies are overvalued and which are undervalued according to the Big Mac Index? Other European currencies such as the British Pound, Swedish Krona, Swiess Franc and even the Canadian dollar are all overvalued compared to their Big Mac purchase power parity. 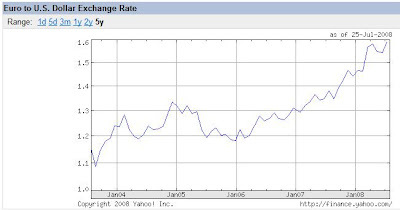 Only the Japanese Yen is undervalued by 27%. For the complete data and worldwide prices of Big Macs and their implied Dollar value please visit The Economist. While almost any other major currency strengthened significantly vs. the US dollar low interest rates in Japan are giving the Yen a hard time. I believe The Big Mac Index reflects the major macro trends in world currencies, even if a bit roughly. It is a lovely example of a very simple extrapolation with good economic common sense at its basis.